When and where Franco Noriega was born? 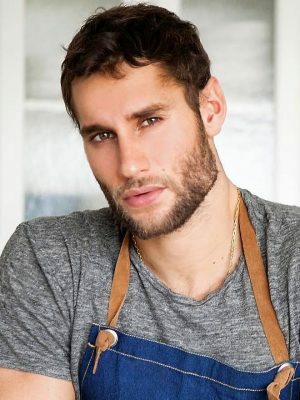 Franco Noriega (born January 16, 1989) is a Peruvian chef, restaurateur, model and former swimmer. He is the owner of Baby Brasa, a Peruvian restaurant in New York City. Born and raised in Peru, Franco Noriega grew up swimming competitively. He moved to New York City in 2007 to study acting at the American Academy of Dramatic Arts. His modeling career launched after being discovered by the fashion photographer Mario Testino. Noriega has modeled for brands like Dolce & Gabbana, Calvin Klein, Roberto Cavalli, Louis Vuitton, and Hugo Boss, and was a Creative Director at Macy's. Noriega was raised in a family of restaurant owners; his parents own a bakery chain in Peru and he co-owns a restaurant chain in Peru with his sister. After attending the International Culinary Center, he founded the Peruvian restaurant Baby Brasa in the Lower East Side, which opened in 2016. How tall and how much weigh Franco Noriega?